Winnetka is a Los Angeles neighborhood located in the San Fernando Valley. A largely diverse population lives in the area and the population continues to grow each year. For many, it is the ideal place to live while commuting to the city for work. You can avoid the busy city life and enjoy a quiet neighborhood full of culture, recreation, and entertainment. With strip malls on almost every corner and reliable transportation services, Winnetka is a great place to live. A growing population means that more HOA, apartments and multiple-family homes are developing all the time. For the owners of these properties, maintenance and upkeep is a huge priority. There are challenges when it comes to HOA roofing so you need to find a reliable and experienced contractor to help keep the roofing for your buildings up to code and looking their best. The roofing company you hire should be fully licensed and insured. This not only indicates a reliable and trustworthy business but it also protects you should anything go wrong on the job. Many companies will come to you with low costs but do not have licensing or insurance and this will only cost you more in the end. Ask them to provide all paperwork up front before discussing the job. Remember that you will get what you pay for, and a roofer with a license has experience and a reputation backed by the industry standards, ensuring you get good quality and reliable work. Roofing companies offer different designs and styles but some are limited in the choices they can work with. If you have a particular design or material in mind make sure you find a contractor that has experience with what you are looking for. We have years of experience with many styles and materials for roofing projects so guarantee we can provide what you need with high quality. 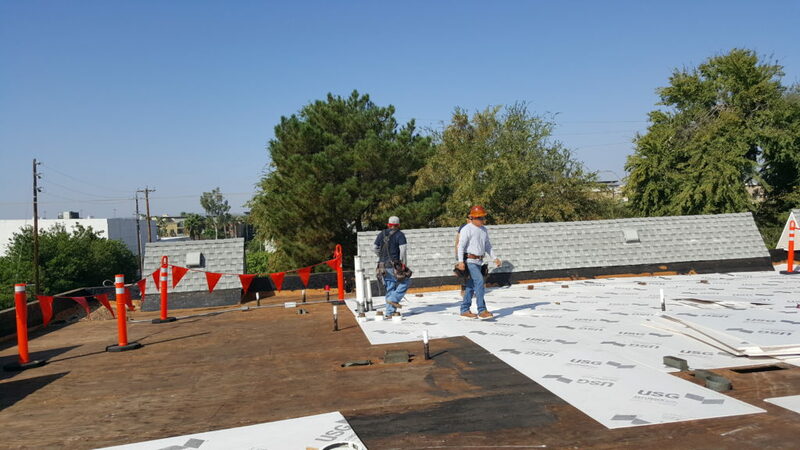 It is important to have a roofing company that understands the materials as well as the requirements of specific HOA developments in order to make the process as smooth as possible. Before any job is officially started, be sure to get everything in writing. You need to have a signed agreement with the roofing to protect you in the event they do not follow through. It also protects you in the event you do not get exactly what was promised. Some companies cut corners and by having a contract you retain evidence to show in courts as evidence of failure to comply. We have the experience, knowledge, and tools to get any HOA roofing job done that you may have. In the Winnetka area, we know roofing and understand how important your HOA business is to you. Your success and the safety of your residents is a priority to you and to us and we strive to develop a long-term working relationship with you. Call us today for an inspection or estimate on any of your HOA roofing jobs.